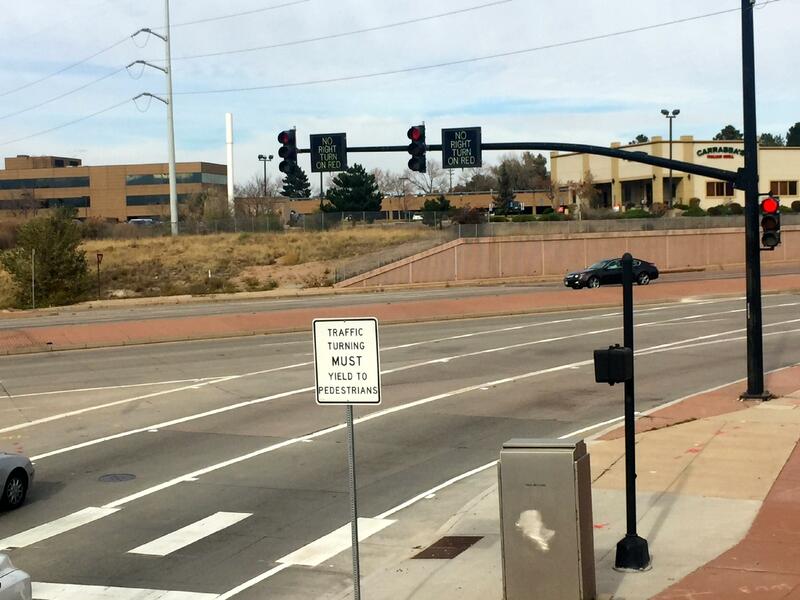 COLORADO SPRINGS—Travelers on the northbound I-25 off-ramp to Woodmen Road (exit 139) may now drive on three right-turn lanes that feed into three continuous eastbound lanes. Crews also installed new traffic turn lights. This work is part of the I-25 Rockrimmon Bridge Preventative Maintenance project. CDOT has undertaken this bridge and driving-surface-preventative-maintenance project on 10 bare concrete bridges near the I-25 Rockrimmon interchange to improve safety and ride quality. This project is part of the ongoing CDOT Asset Management/Bridge Preventative Maintenance Program that began approximately 10 years ago to extend the life of the state's bridges to 75 years.